The Afrikaner folk has been engaged since the mid 17th century in a struggle for existence whether against Anglo-imperialism serving the interests of alien finance, hostile Black interlopers and their latter day terrorist counterparts, or moneyed dynasties who are the heirs of those who instigated the Anglo-Boer War. Born of a religious urge to live their own faith, several ethnic groups embracing heresies outside of the Catholic Church, brought themselves to the new Zion that they were determined to forge at the furthest end of the African Continent, a land only touched by some nomadic Bushmen and Hottentots. Hence, through the struggle to be free to worship and live as one saw fit, Dutch Calvinists and French Huguenots came together to form a new folk: the Afrikaner. From the discovery of gold in the Witswatersrand in 1886, the Boers were pitted against the greed of those who only see in land the opportunity to amass material wealth. The Boers were – and to some extent remain – as vestiges of the European peasantry, perhaps most comparable to Amish and Mennonite communities; again, people who have survived around religious faith, looking to themselves and rejecting the corruption of the outer world. If the Amish ran a state, there would be little doubt that they would, on some pretext, be as vilified as the Boers. The discovery of the mineral wealth on lands occupied by the Afrikaners saw an influx of Uitlanders (Outsiders), largely Jewish and British, who became such a multitude that they threatened the existence of the Afrikaner as a people. The Transvaal republic under President Paul Kruger, sought to block the dispossession of the Afrikaner by limiting the franchise of the Uitlanders. This denial of ‘human rights’, and ‘equality’, as it would now be called, provided the pretext for a British effort to seize the Transvaal. A de facto expedition of 600 men in 1895, the ill-fated Jameson Raid, set off to attack the Republic with the mistaken belief that there would be a Uitlander uprising. While this failed, it set the stage for two genocidal wars against the Boers. We are fighting in order to place a small international oligarchy of mine-owners and speculators in power at Pretoria. Englishmen will surely do well to recognize that the economic and political destinies of South Africa are, and seem likely to remain, in the hands of men most of whom are foreigners by origin, whose trade is finance, and whose trade interests are not chiefly British. Half a century on and that labor movement had become completely befuddled by liberal bourgeois doctrines and remains so, that it had become a vigorous opponent of the Afrikaner. In South Africa itself, the labor movement, at the mine-face as it were, always knew the forces arraigned against the Afrikaner folk. Indeed, when the Nationalist Party assumed Office it 1948 it did so in coalition with the South African Labor Party, as both recognized that the real enemy of the Afrikaner was cosmopolitan finance, headed up by the Afrikaners’ old enemy, the Oppenheimer economic empire. In 1922 White miners on the Rand had staged a revolt against their intended displacement by cheaper Black labor. They had fought back under the slogan “White workers of the world unite, for a White South Africa.” They had been mercilessly crushed by the Smuts government. The massive surge of support for the Nationalists enabled a system of state known as Apartheid or Apart-ness to be implemented at first through ad hoc policies, especially those intended to protect white workers from exploitation by monopolists, and eventually as a consistent implementation by Dr Hendrik Verwoerd, which not only drove Western liberaldom into a frenzy, but brought the Afrikaner into sharpened conflict again with Oppenheimer and other financial interests both within South Africa and beyond. Hence, from a rudimentary history of the Afrikaner it can be seen that Apartheid was not a reactionary policy and the Afrikaners were not some type of exploitive master-caste, but have spent their entire history trying to live their own life, opposed by those who seem them as heretics, whether in a religious or a secular sense, who get in the way of global profit maximization. Through the internal rot of liberalism infecting their own institutions, such as the Reformed Church, and the National Party after the assassination of Verwoerd, together with economic sanctions, and outsider-backed terrorism; a slender majority of Whites (including the more liberal British element) voted in favor of “power sharing” (a euphemism for eventual Black rule) and in 1994 the once outlawed terrorist organization the African National Congress assumed Office in coalition within the Communist Party. While many conservatives outside South Africa has fussed that Black rule would really mean control by the USSR over South Africa’s strategic naval position and mineral wealth, such defensive tactics by the apologists for South Africa both within and without, rather than upholding Apartheid as a necessity to ensure the survival of the Afrikaners focused on how Apartheid benefited Blacks, how their standard of living was far above the rest of Africa and how there were Black millionaires. While all this was of course true, the Afrikaner state after Verwoerd did not wage an ideological offensive in terms of their own history, customs, struggles, and rights. The Afrikaner official response to vehement worldwide campaigns was apologetic. Indeed, with the founding of the Herstigte Nasionale Party (HNP – Reformed National Party) as a break-away form the National Party in 1969, Johannes Vorster, who succeeded to the Prime Ministership on the assassination of Verwoerd, and his party were portrayed by apologists for South Africa as the “moderate” voice of Afrikanerdom, whose conciliatory approach would prevent the Blacks from being revolutionized, and hence would be the best option for saving South Africa from Communism and the USSR. This split among Afrikaners was portrayed as a breach between the “enlightened” (verligtes) and the “narrow” (verkrampte) thinkers. Hence, Vorster was described optimistically in the journal of the US globalist think tank, the Council on Foreign Relations, as being “tempered by moderation, pragmatism and outward-looking flexibility” during his two years in Office, despite his ‘hard image.” While the HNP was increasingly marginalized, despite the sterling efforts of highly capable leaders such as Jaap Marais, the National Part was able to foster its gradually reformist line, with the prospect of Afrikaners coming in from the cold. In 1992 majority of whites voted themselves towards oblivion under the ultra-reformist SA President F. W. de Klerk in a referendum, a poignant irony being the murder of de Klerk’s ex-wife Marike, by a Black security guard in 2001. However, de Klerk continues to be fêted on the world stage as a great humanitarian, while he states he lives in an all-white neighborhood attended to by three Colored servants and two Blacks. Rather than the Communists and the ANC (into which the National Party amalgamated) nationalizing the economy, as conservatives feared, the reverse has occurred. The Black state has embarked on a policy of privatization. Indeed, this should not have been surprising, given that Black majority rule was the policy pushed by monopoly capitalism, and that it was the Afrikaner Nationalist Party which for most of its history was the arch-enemy of monopolists such as Oppenheimer. Verwoerd and other Nationalist leaders spoke out against these interests. If there were ever going to be nationalization in South Africa it would more likely have come from a Nationalist Government than the ANC-Communist Government. The policy pursued by the Black state is to sell-off the parastatals, or state-owned enterprises that had been established by the Nationalists. Although white rule was abdicated in 1994, in 1990 a group of about forty families under the leadership of Dr. Carel Boshoff, son-in-law of Verwoerd, had purchased a dilapidated former construction camp located along the Orange River, in the arid Karoo of the Northern Cape. 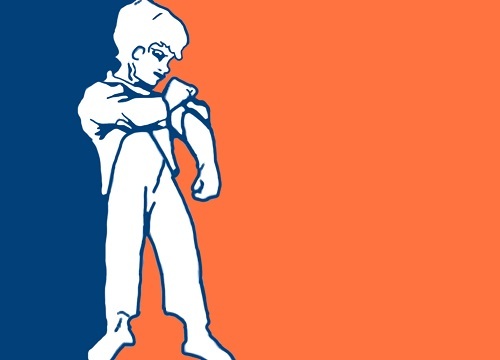 In 1991 they named the settlement Orania, raising a flag reflecting the optimism of the Afrikaner settlement (depicting a child rolling up the sleeves of his overalls, against the blue and orange colors of Afrikanerdom). Orania has since become a thriving Afrikaner outpost of about 1000, which includes a successful tourist industry, about 70 businesses, and exports of agricultural products. Orania is based on White labor. No Blacks are used as servants or in any other manner. Orania has established it own local banking system and currency. The basis of Orania is Afrikaner “self-reliance,” which means not using the labor of non-whites. It means doing menial work oneself, no matter what one’s wealth or social status. Hence, Orania aims to repudiate one of the major factors that has broken down entire civilizations over the course of thousands of years to the present: the use of alien labor, whether as slaves or as migrant workers. It also means maintaining a ruggedness of character rather than succumbing to the smug complacency that is engendered by luxury and money: a character trait of many white South Africans, while congratulating themselves on their paternalistic, even liberal, regard for “their Blacks,” one of the worst being, as seen above, F. W. de Klerk. In a paper published in 2009 on the economy of Orania, Ronald Mears, Professor of Economics at the University of Johannesburg, described the community as an example of a flourishing economy that utilizes a local currency, the Ora (Ø), and a co-operative bank, owned entirely locally. Mears wrote: “The driving force in Orania is self-help within a Christian National culture, where skilled people initiate projects with their own labor and money.” Orania does not take anything from the state, and finances all local development itself. Another primary concept of Orania is ecologically based development, including a focus on self-generating alternative power sources such as wind and solar energy. Mears points out that all buildings have to be equipped with a solar heating system, and each home has a water catchment tank. “Each new building development,” writes Mear of a ten-point plan that was initiated in 2008, “would be measured against the three principles of using one’s own labor, sustainability and adhering strictly to ecological and ethical principles.” An education program on waste management assures that non-recyclables are not dumped into heaps, and that every household recognizes the value of composting. The recycle bank has five classifications of waste, and provides for profitable business sidelines, such as the recycling of glass bottles. In transport there is a focus on encouraging bicycling rather than motor transport. The ten point plan includes a focus on green technology. The foundations of Orania, outlined by John Strydom, the public relations official of the community, in 2008, see Orania as a pioneer in finding solutions. Mear, in assessing the achievements of Orania, states that the community practices permaculture with the aim of generating more energy than is consumed, and is self-sufficient in local food needs. The principle is that each element in the system must serve multiples needs such as a windbreak also serving as a firebreak, or food crops also attracting favorable insects. This holistic approach is used in the raising of chickens, which weed and fertilize the ground and are then moved on. The ideal is for each household to be self-sufficient in vegetables and eggs. Water used at a state-of-the-art dairy is recycled for irrigation. Bats and owls are encouraged to control insect pests. Another interesting feature of Orania’s economy is the use of “labor banking,” where groups of 10 to 14 pool their labor in mutual aid projects. Mear states: “A member who has worked for someone else receives credit, while the account of the member who received the work is debited.” Usually, because of the closeness of the community, no supervision of work is required. Orania is a community based on a social, and ultimately a religious, ethos, one that might be called “mutual aid” or even “ethical socialism,” that can only be dreamt about by Anarchists, Greens, and other Leftist aberrations who do not possess the character to implement such ideals. Needs are provided for by such voluntarist mutual aid associations. The numerous community associations include the Orania Growth Fund, Agricultural Society, Irrigation Council, Management Services, Welfare Council, Orania Homenursing, Help-each-other Fund, and others. Culturally, there is Radio Orania, a Friday evening market, Arts Council and Museum and Archives. Schools include a Christian national Afrikaner basis, supervised by a Coordinating Education Council, and an Education Trust. All these organizations exist independently as part of the community, rather than as bureaucratic edifices. As one would expect from Afrikaners, Orania also has a vigorous rugby team, The Rebels, which plays neighboring townships. It is an Afrikaner only team, a matter that caused much commotion around the world when the Springbok were “whites only” under the Apartheid system, which provided a primary focus against South Africa in sports boycotts and mass demonstrations against South African sports tours, such as those that erupted in violence in New Zealand during the 1980s. A local money system is the key to self-sufficiency and independence. The Øra is the local currency, a voucher system that facilitates commerce. The citizens of Orania are shareholders in the community, investing in the Vluyjeskraal Share Block Company. According to John Strydom, locals are the only shareholders of the bank and profits remain in Orania. While Orania Savings and Credit Cooperative Ltd was established in 2002 the Øra was issued in 2004 as an internal voucher system. The Øra is exchanged with Rands on parity, and the deposits are backed 100% rather than through fractional reserve; what Mear refers to a “collateral equilibrium.” There is no bank fee on exchanging the currencies. New issues of Øra are made every few years, with the previous series withdrawn, to ensure parity of currency according to commerce. There are four denominations of Øra, each carrying six different advertisements, which pay for the printing costs. Local businesses give discounts on payments made in Øras. Øras are also sometimes used as payment and exchanged by neighboring workers and farmers, who qualify for discounts when spending at Orania. Hence, the currency is having a wider influence beyond Orania. Although Orania is self-sufficient, perhaps more so than any other situational community in the world, and aims above all to preserve the Afrikaner ethnos and ethos, it is not insular. Orania has reached out, without compromising its purpose. Although eschewing all outside labor, neighboring Coloreds interact with the Oranian Afrikaners and use the Øra to take advantage of the discounted merchandise; the rugby team plays outside the community, and very importantly there is a support network called the Orania Movement which aims to garner support for the Afrikaner throughout the world. The Orania Movement forms alliances with other indigenes, and interacts with a political party. The Orania Movement can be traced to the activities of Verwoerd’s son-in-law Dr. Carel W. H. Boshoff (1927–2011), whose son, Carel Boshoff IV is the present-day mayor of Orania. Dr. Boshoff was head of the Voortreker movement (1981–1989) one of the keystones of Afrikaner tradition, the Broederbond (1979–1983), and a regional chairman of the Freedom Front (1994–2011), the only political party that continues to represent Afrikanerdom in the “Rainbow” Parliament. A community was established in Morgenzon, a small farming town near the Osspruit River. The aim was eventually to create a Volkstaat. Through the expansion of Orania the ideal of forming a Voolkstaat remains. The immediate predecessor of the Orania Movement was the Afrikaner-Vryheidstigting (Avstig), the Afrikaner Freedom Foundation, founded by Dr. Boshoff in 1989 with the aim of securing land for an Afrikaner community, which, unlike more ambitious plans by such groups as the Boerstaat Party, advocated withdrawing from the Transvaal and Orange Free State, into a smaller enclave, something that has angered some Afrikaners. For whatever reason, even the most radical of ANC leaders seem willing to concede something for an Afrikaner homeland, even if to isolate the die-hard elements, while Orania is mainly limited in its potential to become a Voolkstaat by the tendency of Afrikaners to sooner quit the land of their forebears than to become modern-day pioneers. The ANC has long regarded this withdrawal of the Afrikaner into its own enclave as a desirable ideal, Valli Moosa, then Minister of Constitutional Development, stated during the Parliamentary budget debate in 1998: “The ideal of some Afrikaners to develop the North Western Cape as a home for the Afrikaner culture and language within the framework of the Constitution and the Charter of Human Rights is viewed by the government as a legitimate idea.” In a conciliatory gesture in 1999 Nelson Mandela had tea with Hendrik Verwoerd’s widow Betsie, at Orania. In 2009 even the generally less than conciliatory ANC Youth League sent a delegation led by Julius Malema, who praised the cooperative spirit of Orania, (perhaps in an attempt to shame his own violence-prone rivals). In 2010 South Africa President Jacob Zuma visited Orania. In 2012 Orania and the Xhosa community of Mnyameni signed a cooperation agreement for a greater degree of self-sufficiency from the central State. The Orania Movement has achieved something unique in starting to have Afrikaners recognized as a beleaguered ingenious minority, therefore taking liberaldom on in its own domain, and turning anti-white moralizing against itself. The movement has also sought outside alliances. We simply believe in the right of all cultural groups to practice their own culture, language, religion and traditions in a fair way. We also strongly believe in selfdeterminination and therefore support the efforts by the Flemish people in Belgium, the German speaking people in South Tyrol (Italy), the Catalans in Spain and the French speaking people in Quebec (Canada) as they strive for greater selfdetermination. The Freedom Front Plus has been active in South African politics at all levels, aiming to defend the political, cultural and economic rights of the Afrikaners. The eventual objective of the party is to work towards self-determination for the Afrikaners within the South African constitution. In their view this constitution should be interpreted in such a way that it would provide for regional autonomy of all groups that wish self-government. The Freedom Front Plus further claims community rights. Formed in 1994, FF+ was joined in 2003 by the Conservative Party, that had been founded by the late Dr. Andries Treurnicht, Afrikaner Eenheids Beweging, and Freedom Alliance. Dr. Boshoff was the head of FF+ for the Northern Cape from 1994, although Orania does not include parties in its local representation. FF+ has four seats in the National Assembly. Dr. Boshoff’s son, who is Mayor of Orania, is leader of FF+ in the Northern Cape. FF+ leader Pieter Mulder serves as South Africa’s Deputy Minister of Agriculture, Forestry and Fisheries. FF+ devotes a special section on its website to Orania, indicating the importance the party attaches to the project. Orania provides a blueprint for the creation and development of self-sustaining ethnic communities. Most importantly, Orania is based around a faith. Many socialist communities and communes have been formed and failed utterly. The most enduring self-sustained communities are religious in character, such as the Mennonite and Amish communities and indeed the early State of Utah. One can also include in successful self-sustaining communities convents and monasteries. A supra-human belief provides the enduring strength for unity. 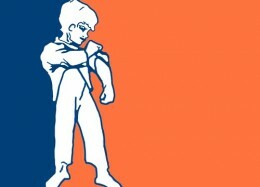 Orania is economically self-supporting, and does not rely for anything from the central state. The economy is subordinated to the community, and a local currency is an important part of this as is a cooperative bank with profits staying within Orania. All labor is undertaken by community citizens and is not reliant on “migrants.” Work is therefore a duty and not a burden. Mutual aid supports those in need via voluntarist associations, not state bureaucracies. Not only does this maintain self-sufficiency, but it – like the attitude towards work – promotes a new social ethos that places the community ahead of the individual, without stifling the individual, and the family as the basis social unit. Orania is based around the traditional Boer attachment to the land, with a concomitant ecological perspective. This also provides the basis for the economy, not only in terms of self-sufficiency in food but in encouraging innovative approaches to energy. Again, a spin-off is the development of an ethos that roots the spirituality of the community to the land and rejects the urban mentality that is artificial, superficial and leads to spiritual decay. Upon such premises Orania has created an edifice that rejects all the decadent elements that undermine societies, states and entire civilizations (as per Spengler) building instead a holistic society based on faith, family, self-reliance, attachment to the land, subordination of money and material goals, and the common interest before self. T. B. Floyd, The Boer Nation’s English Problem (Johannesburg, 1977), pp. 15–17. Stephen Mitford Goodson, General Jan Christian Smuts: the Debunking of a Myth (Pretoria: Bienedell Uitgewers, 2012), p. 8. (With gratitude to the late Louis Stofberg, General Secretary of the HNP). One of the most outspoken in the House was John Burns, Labour Member of Parliament for Battersea. J. A. Hobson, The War in South Africa, Its Causes and Effects (London, 1900), p. 197. Dawid de Villiers, The Case for South Africa (London: Tom Stacey Ltd., 1970), pp. 58–71. Dawid de Villiers, pp. 125–27. Professor Edwin S Munger, Foreign Affairs, January 1969; quoted by Dawid de Villiers, ibid., pp. 125–26. F. W. de Klerk Interview with Stephen Sackur, “Hardtalk,” BBC World Service 18 & 19, April 2012. Ronald Mears, “The Ora as facilitator of sustainable local economic development in Orania,” (2) 2009. However, the Maori All Blacks rugby team remains a matter of pride in New Zealand, and was not the subject of abuse from the likes of the Halt All Racist Tours organization that caused mayhem on the streets against the Springboks tour of New Zealand in 1981. John Strydom to K. R. Bolton, personal communication, June 1, 2013. In the 1989 General Election, the last before multiracial elections, the CP scored 31.52% of the vote of the white electorate, displacing the anti-Apartheid Progressive Federal Party as the official Opposition. Son of the late Connie Mulder, National Party Cabinet Minister, who broke with the Government to form the National Conservative Party, which joined with Treurnicht’s Conservative Party. Oswald Spengler, The Decline of the West (London: George Allen & Unwin, 1971) inter alia.